The conference is free to the pubic but pre-registration is required. * Parking in downtown Riverside is available for purchase at the Mission Square Garage across from the Culver Center on Main & 9th. 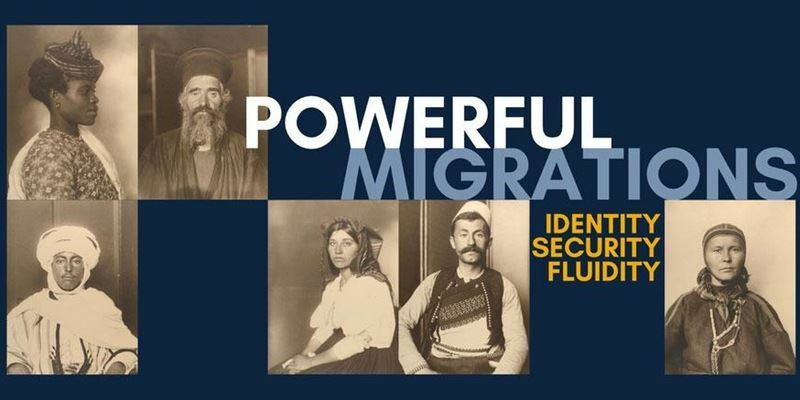 Over the past years, new forms of terrorism, war, and the clash of opposed cultural and religious value systems have caused unprecedented mass migrations in the modern world. This has brought about a fundamental level of insecurity among Western Cultures and a fundamental dilemma on how to react properly to the streams of migrants risking their lives on dangerous passages – across land, sea and air borders – to seek refuge in the more prosperous and politically stable countries of the Western World. These recent events demand a closer look into the history and nature of migration, its manifold causes, forms, and effects. Interdisciplinary thinking about migration as a cultural, political, and social phenomenon has never been more urgent. We must understand migrations of people and objects across existing borders in both a cultural and historical perspective to be able to broaden our understanding and inform current discussions on national security and societal discourse on inclusion vs. exclusion.